Are you facing foreclosure? Have you considered your options? Tatyana and her team are awesome! My husband and I had to short sale our home and it was very difficult to communicate with the lender. We got a hold of Tatyana and it went smooth sailing after that. Tatyana and team were always in communication with us, always giving us all the details. They will always be my Realtors! Thanks guys!! Tatyana Sturm and The Storck Team have been honored to serve the Denver and surrounding areas in relocation real estate for the last 10 years as one of Denver’s leading short sale and foreclosure specialists. 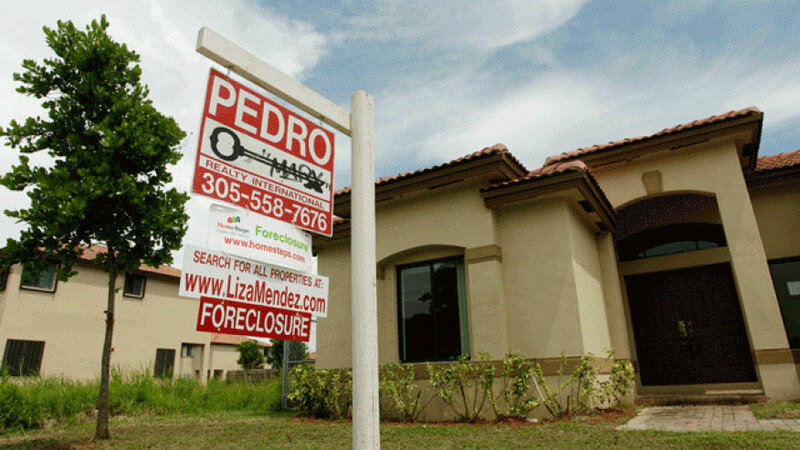 If you or someone you know is facing foreclosure, make sure you are educated on your options. You might have equity or money in your home that you are unaware of in this ever changing real estate market. Call or text The Storck Team to explore your options with short sale and foreclosure today at (720) 350-5909. We are available 7 days a week for a consultation. Are you facing foreclosure? You have options! At this point pretty much all of us have known someone, or experienced ourselves, the many woes of yesteryear’s bad mortgages and faulty lending practices….. People of all walks of life, some even highly educated, got involved in a loan that went wrong to buy the home of their dreams and are still paying dearly to catch up. Negative amortization loans and ARM mortgages have been re-evaluated through strengthened lending practices today in 2014, but many Americans are still facing the cloud of foreclosure looming over their heads. Many don’t know what to do when they are facing foreclosure or carrying the burden of trying to keep their home after a major life change or financial hardship. Between the bad loans and the recession causing job loss, so many owe a significant amount more than their home is worth. What you didn’t know? YOU HAVE OPTIONS! 1. Home Affordable Modification Program (HAMP): “The very first thing you should do is check if you qualify for HAMP,” says Rich Hayden, senior loan officer with HomeFirst Mortgage in Alexandria, Va. Through HAMP, the federal government offers borrowers with loans insured by Fannie Mae or Freddie Mac the opportunity to refinance into lower interest rate loans. 30 days of paystubs, or most recent tax return, if self-employed. A personal debt report from one of the three major credit bureaus. A hardship letter, the format and requirements for which varies. According to the Treasury Department, at the end of November 2009, only about 4 percent of the homeowners who signed up for loan modifications had received them. 2. Short sale: A short sale is when you sell a home for less than what is owed on the mortgage. While not as damaging to your credit report as a foreclosure, your credit score will take a hit nonetheless. Before approving a short sale, lenders take into consideration the amount of assets a borrower has and whether the borrower is already in default. To sell the home as a short sale, you should list it with a real estate professional that’s well versed in these types of sales. “The concept of short sales being a viable option has gained new traction,” says Aaron Lewis, a broker-associate with The Lewis Team at Prudential California Realty in Modesto, Calif. Servicers are hiring to handle the volume and the Treasury Department, Fannie Mae and Freddie Mac are all attempting to streamline the short-sales approval process. 3. Deed in lieu of foreclosure: “Basically, you’re handing over the keys to the lender in lieu of actually going through the foreclosure process,” says Hayden. The lender then sells the property to recoup a part or all of the loan balance. “It may be less invasive than a foreclosure, but it’s just as destructive to your credit. If there isn’t a clear path in sight, some borrowers make this choice,” says Hayden. 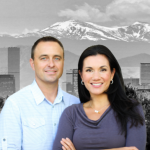 Tatyana Sturm and The Storck Team have been honored to serve the Denver and surrounding areas in relocation real estate for the last 10 years as one of Denver’s leading short sale specialists. If you or someone you know is facing foreclosure, make sure you are educated on your options. You might have equity or money in your home that you are unaware of in this ever changing real estate market. Call or text The Storck Team at (720) 350-5909. Here are some very important things to consider when thinking about purchasing a foreclosure. Sure, you can get a great deal but is the deal right for you? The Storck Team specializes in foreclosure and short sale, we can help you get a deal on your next home! If you are looking in Aurora, Centennial, or Parker call on The Storck Team for your foreclosure or short sale purchase! Click here for your 5 tips. Facing foreclosure? You may have equity in your home. If you are facing foreclosure you may have equity in your home that you are unaware of. The Storck Team is the leading foreclosure and short sale expert in the Denver area. You might be able to sell your home and get money back to help with your expenses. Life happens, call The Storck Team to figure out your options today! If you have a loan that has originated through Wachovia or World Savings Bank, you may be eligible for the fast track program there are many benefits to seller if you qualify for this program. Call us today at (720) 350-5909 to find out if you qualify!